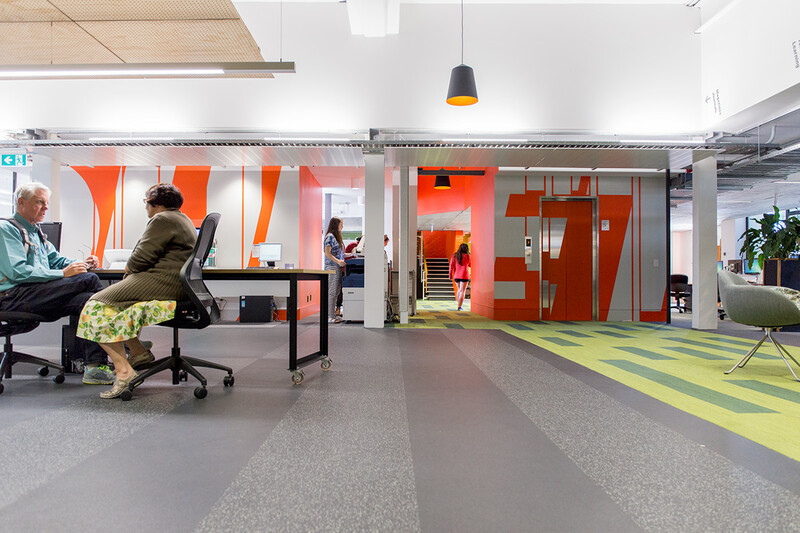 Massey University is New Zealand’s biggest university. 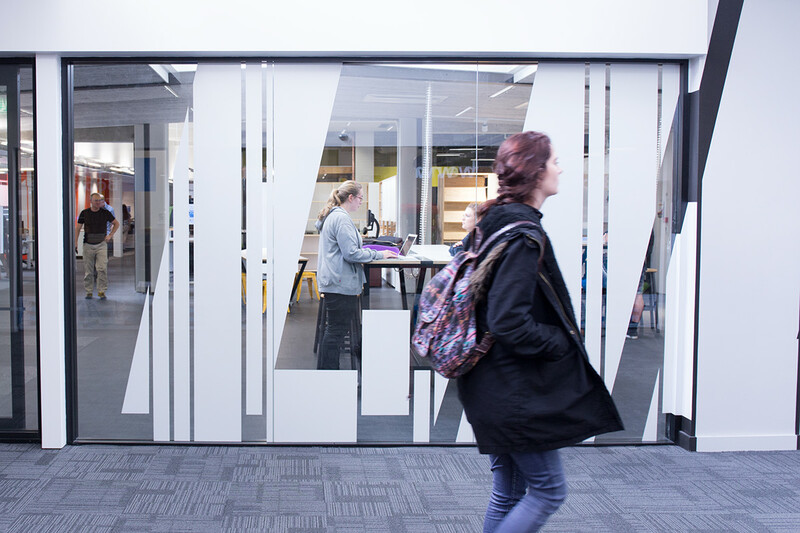 Recently, the Wellington campus library underwent a significant architectural redevelopment. 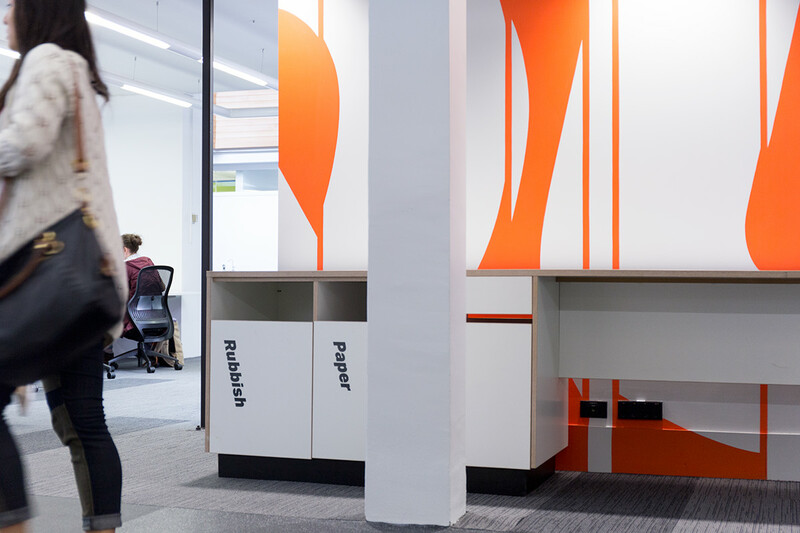 Along with Athfield Architects, we were briefed to help redefine the library and help create a space relevant for current users. 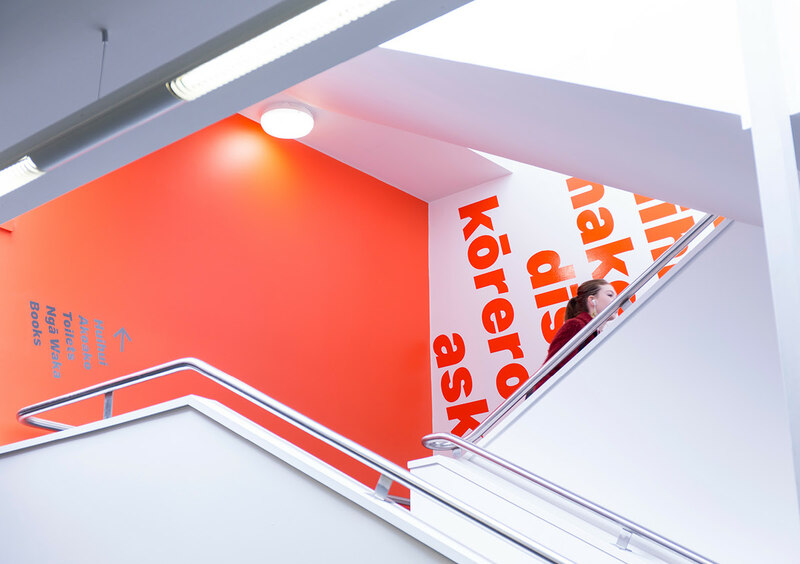 Working closely with the architects and library staff, the concept of a ‘library’ was reinvented, redesigned and ultimately redefined. 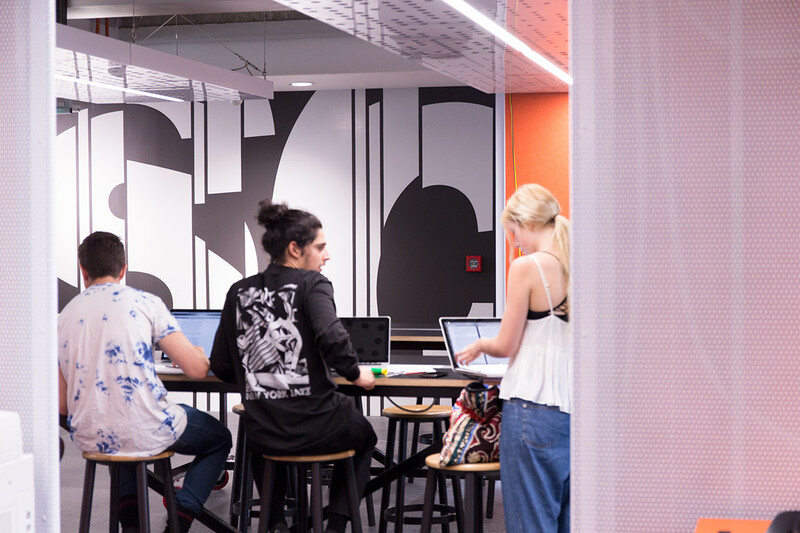 Helping the library to reclaim it’s relevance in the 21st century. 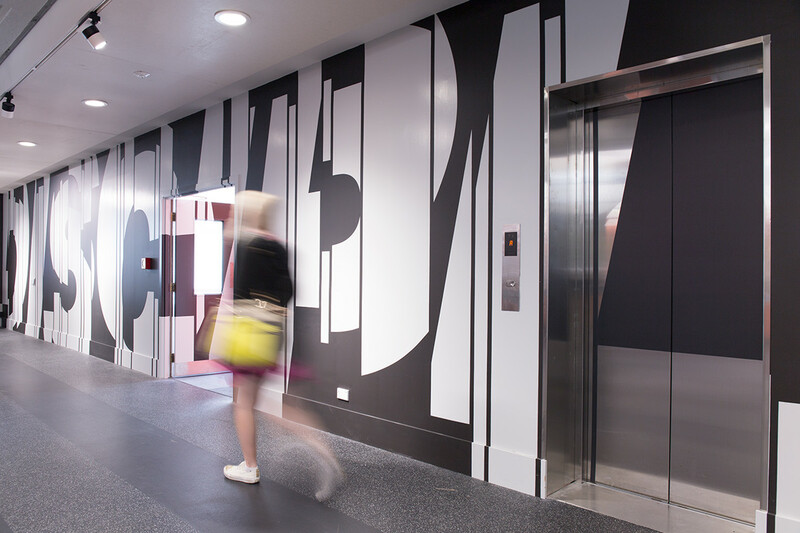 Floor to ceiling graphics and a minimal, flexible wayshowing system has helped position the library as the hub of the Wellington campus. Workshops provided insight into how the range of users want to access and navigate the collection. 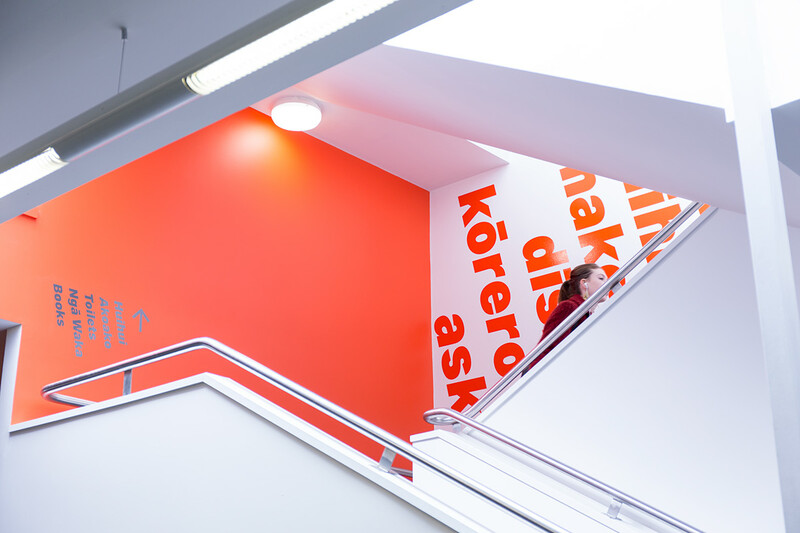 Macro and micro levels of wayfinding allow users to navigate the collection while allowing enough flexibility for the system to be rearranged as necessary. 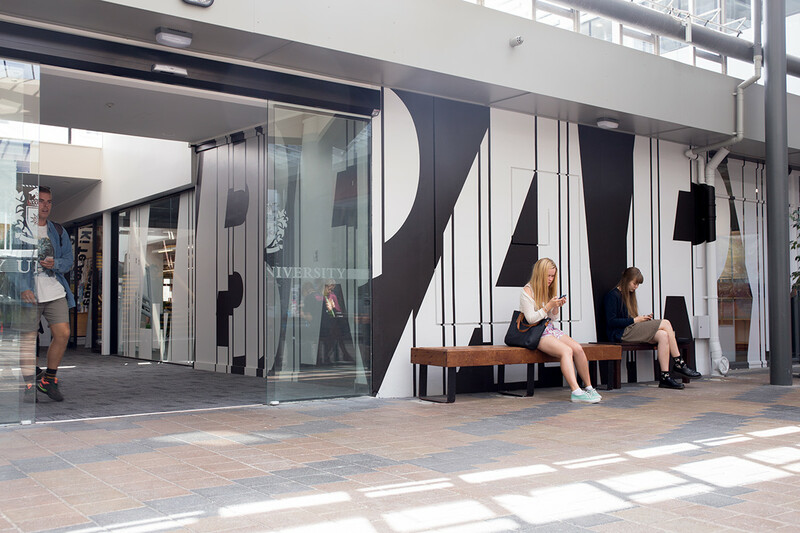 Massey University is New Zealand’s biggest university. 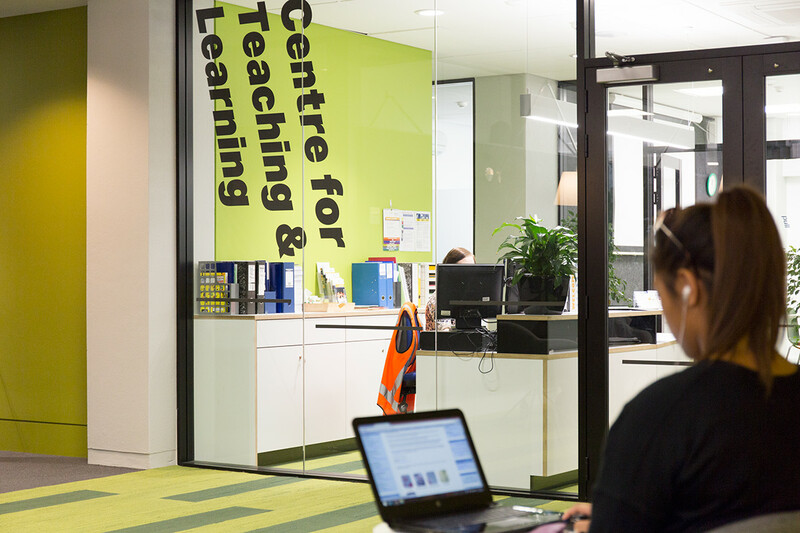 Recently, the Wellington campus library underwent a significant architectural redevelopment. 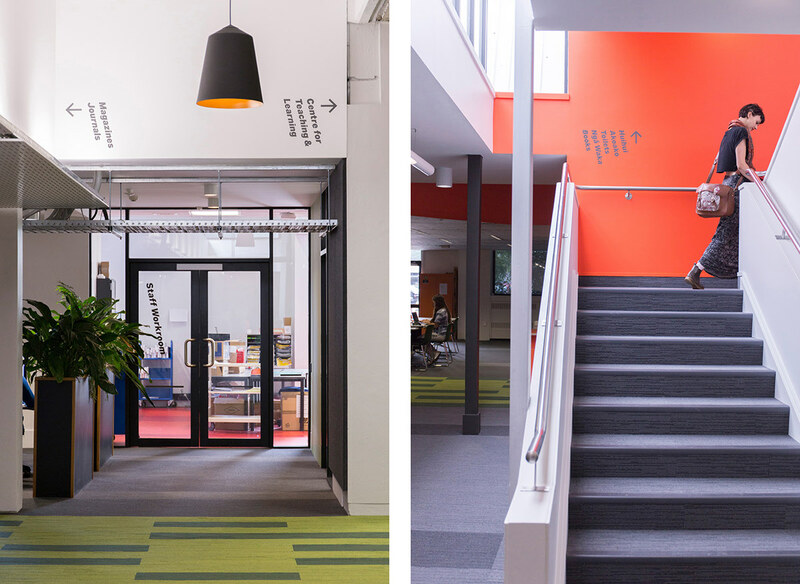 Along with Athfield Architects, we were briefed to help redefine the library and help create a space relevant for current users. 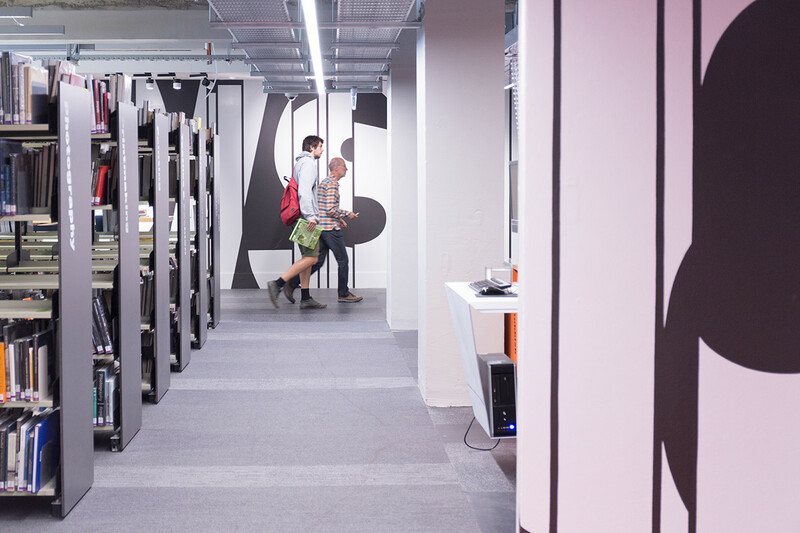 Working closely with the architects and library staff, the concept of a ‘library’ was reinvented, redesigned and ultimately redefined. 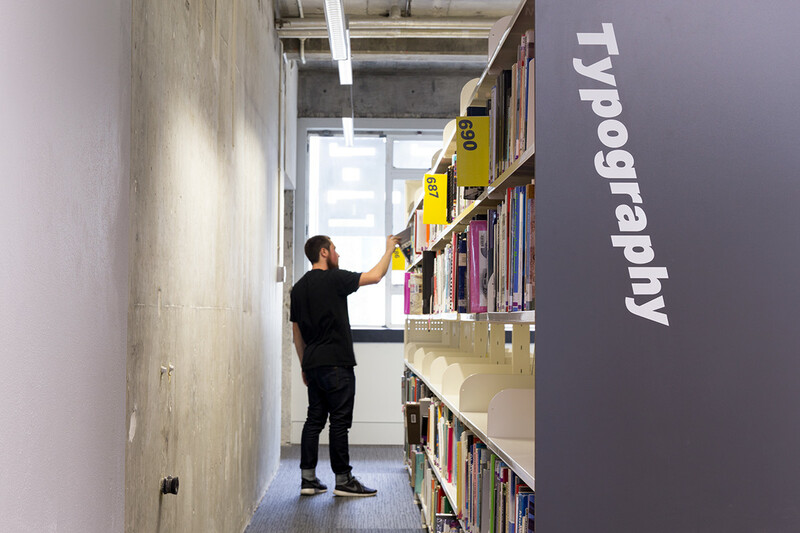 Helping the library to reclaim it’s relevance in the 21st century. Workshops provided insight into how the range of users want to access and navigate the collection. 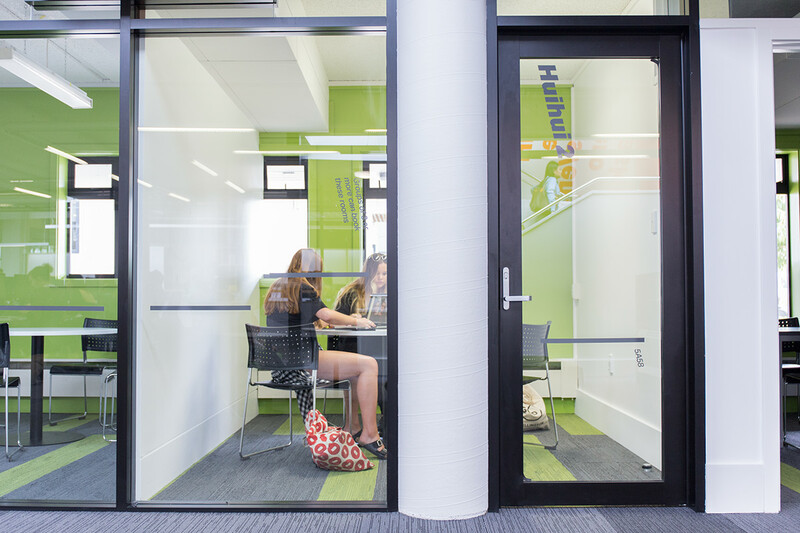 Floor to ceiling graphics and a minimal, flexible wayshowing system has helped position the library as the hub of the Wellington campus. 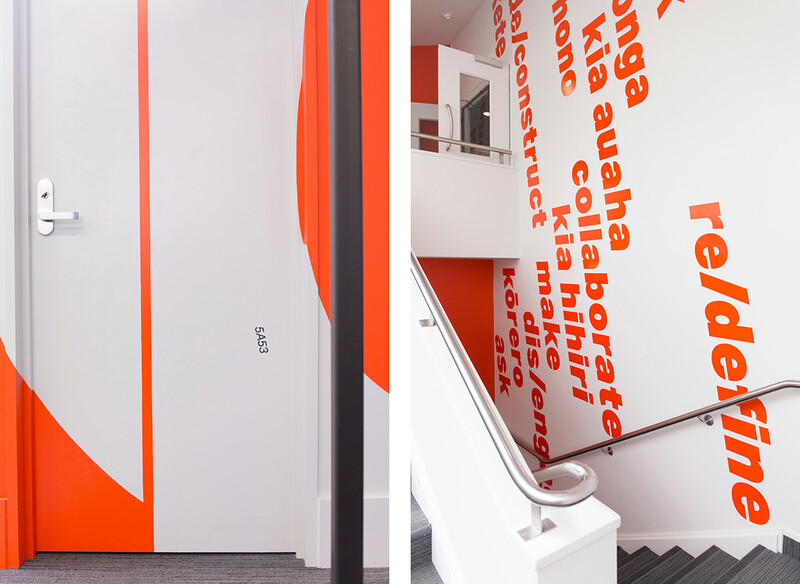 Te reo Maori and English were equally integrated into the solution. English being used for factual information such as toilets and shelf contents while Te Reo Maori gets used as a placemaking component. 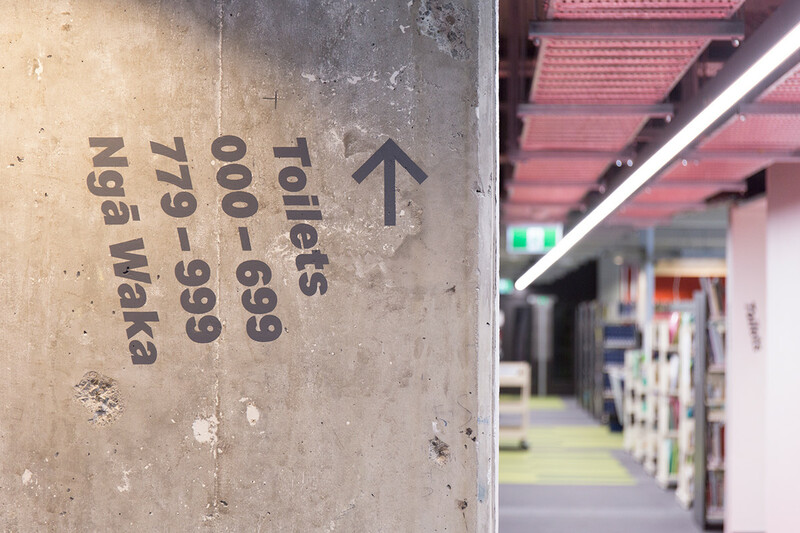 Macro and micro levels of wayfinding allow users to navigate the collection while allowing enough flexibility for the system to be rearranged as necessary.